Many current Davidsonians are aware of the December 2014 die-in on Main Street, in which “a group of about 200 students and several faculty and staff members staged a die-in protest on Main Street Saturday night to protest police violence against people of color.” (The Davidsonian, December 10, 2014) However, this was not the first die-in at Davidson – the Davidson Peace Coalition organized a die-in on April 22, 1985. 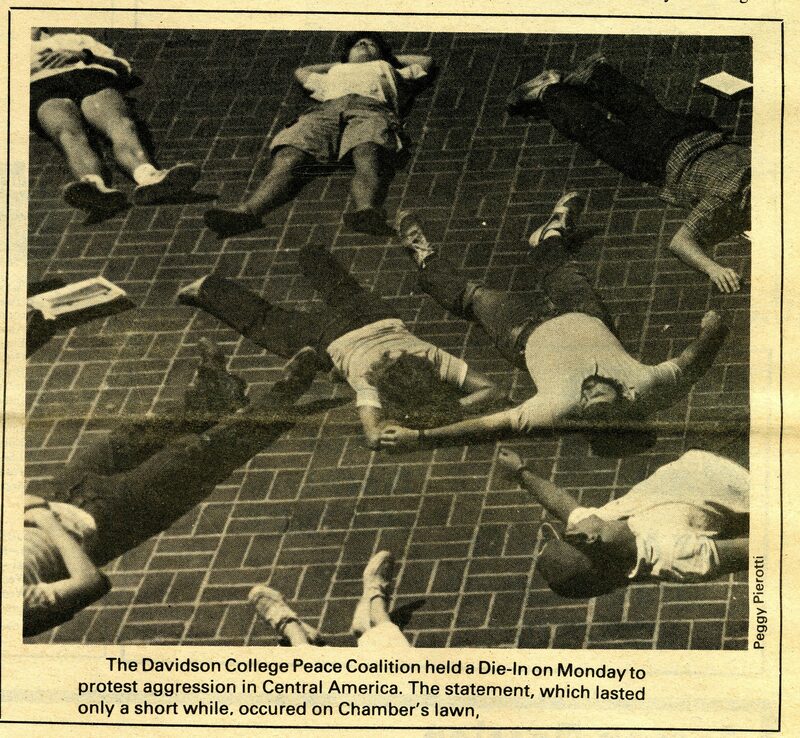 While our records on the Davidson Peace Coalition are not robust, we do have documentation of the die-in and reactions to the protest from the student newspaper, The Davidsonian. 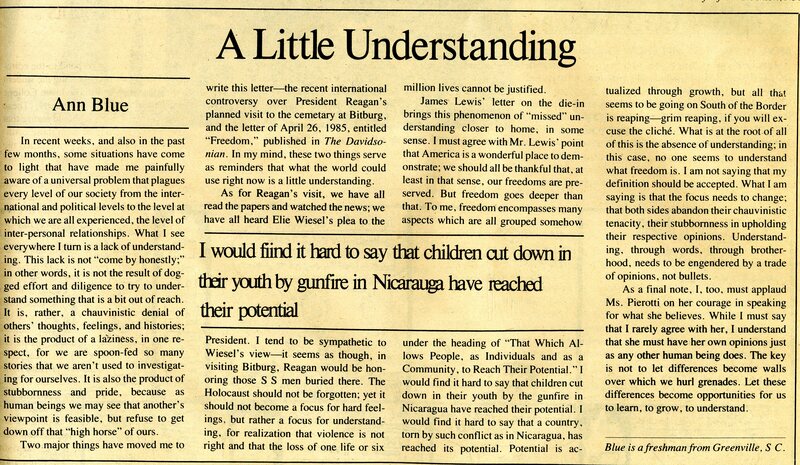 Letter to the Editor from the Davidson Peace Coalition, April 19, 1985. A photo capturing students participating in the die-in in front of Chambers Building. 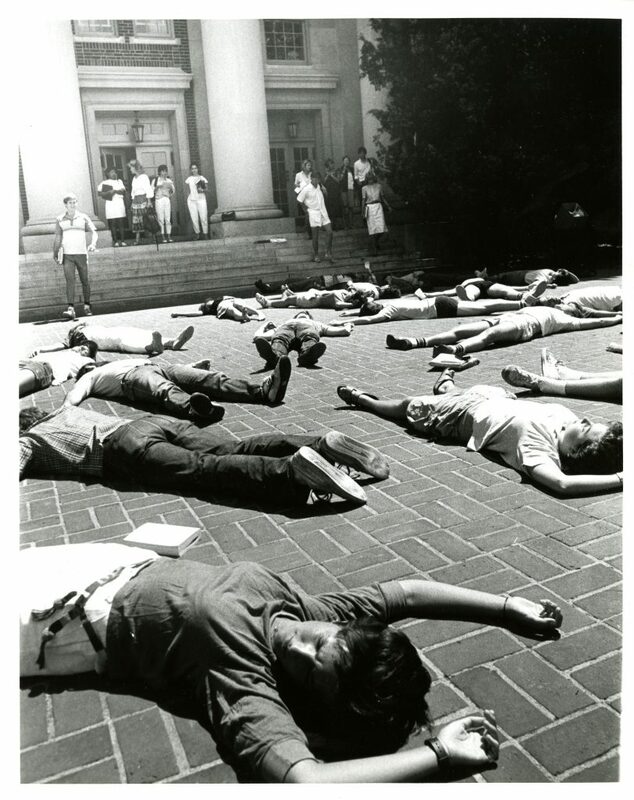 This image of the die-in ran in the April 26, 1985 issue of The Davidsonian. The image and caption were the only coverage of the event, outside of Letters to the Editor and write-in opinion pieces. 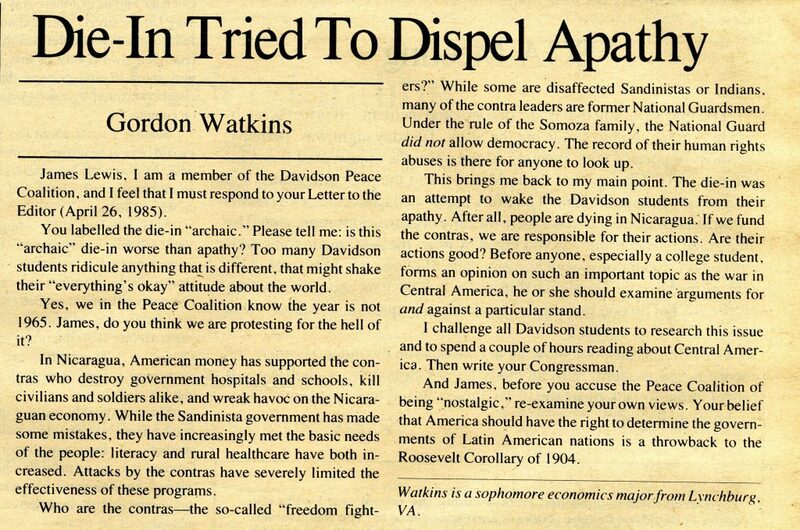 In the issues following the die-in, The Davidsonian published a series of Letters to the Editor responding to both whether Davidson students should protest U.S. aid to the Contras in Nicaragua, and whether U.S. policies in Central America were justified. Gordon Watkins’ response to James Lewis, “Die-In Tried To Dispel Apathy,” ran on the opinions page of the May 3, 1985 issue. Sharon Spong and Stu King’s Letter to the Editor in response to James Lewis ran in the May 3, 1985 issue of The Davidsonian. Anne Blue’s response to Lewis also ran in the May 3, 1985 issue. Anne Blue Wills is now a professor of religion at Davidson College. 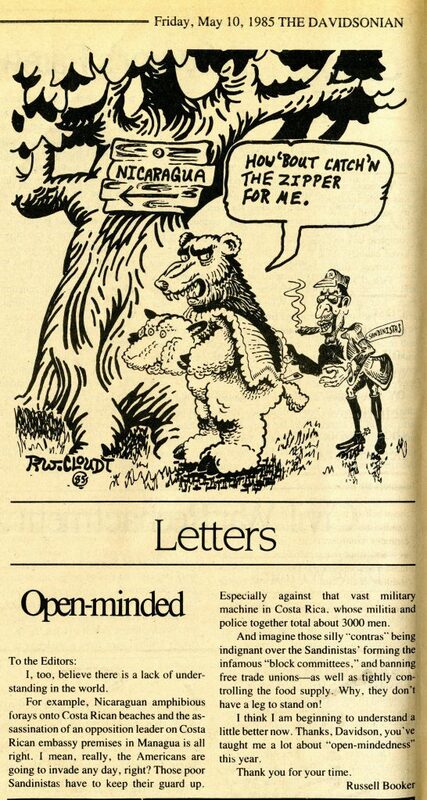 Russell Booker’s sardonic response to the conversations on campus surrounding U.S. involvement in Nicaragua ran alongside a political cartoon on the subject in the May 10, 1985 issue of The Davidsonian. 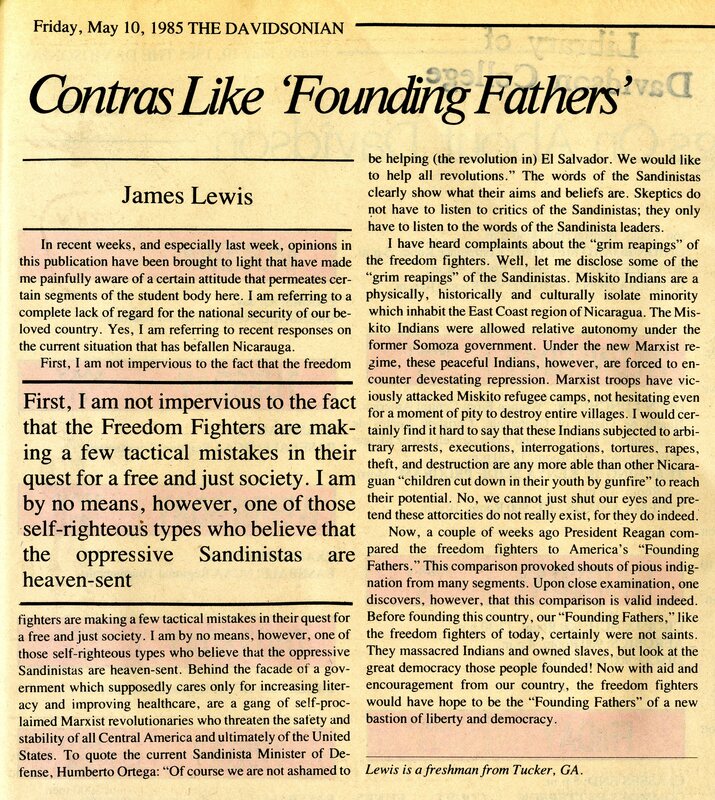 Lewis’ “Contras Like ‘Founding Fathers'” takes aim at the letters responding to his April 26 opinion letter. 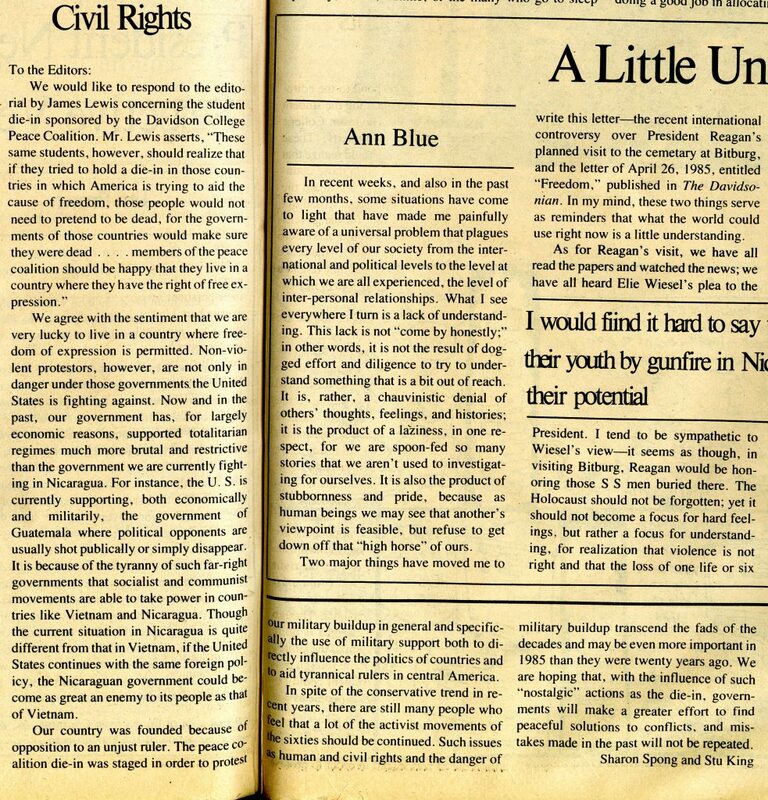 The May 10 issue was the last of the 1984-1985 academic year, and when publication of the newspaper began again for the fall semester, the die-in stopped appearing in the editorials page. The Davidsonian is one of the College Archives’ most heavily-used resources, and these opinion letters make clear why: the student newspaper provides valuable insight into what students thought and cared about while they were attending Davidson College. Furthermore, sometimes mentions in The Davidsonian are the only documentation we have of campus events or student groups. The Davidsonian continues to publish today, and we continue to meticulously gather and preserve the newspaper! 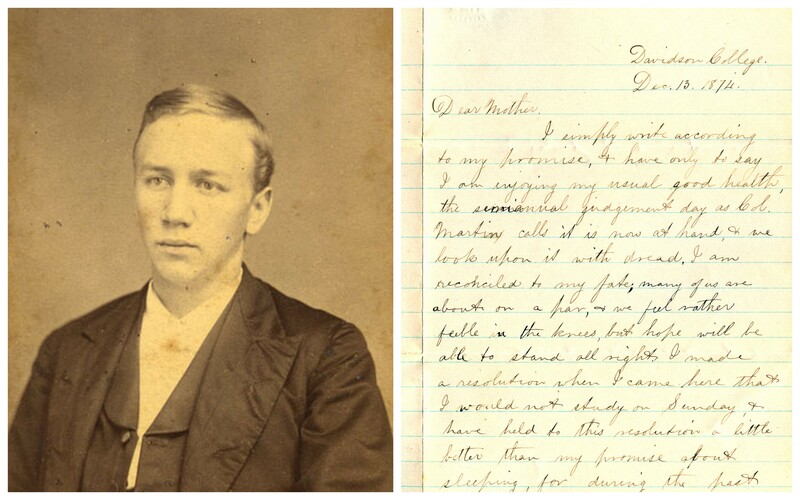 As October heads to a close, so too does Archives Month. The theme set this year by the Society of North Carolina Archivists was “Celebrating Archives: North Carolina Arts, Crafts, and Music Traditions,” and we’ve had events all month long to celebrate Davidson’s archival history in those three areas (such as a mandolin concert and an art exhibition focusing on pieces in the College’s collections from North Carolina artists). 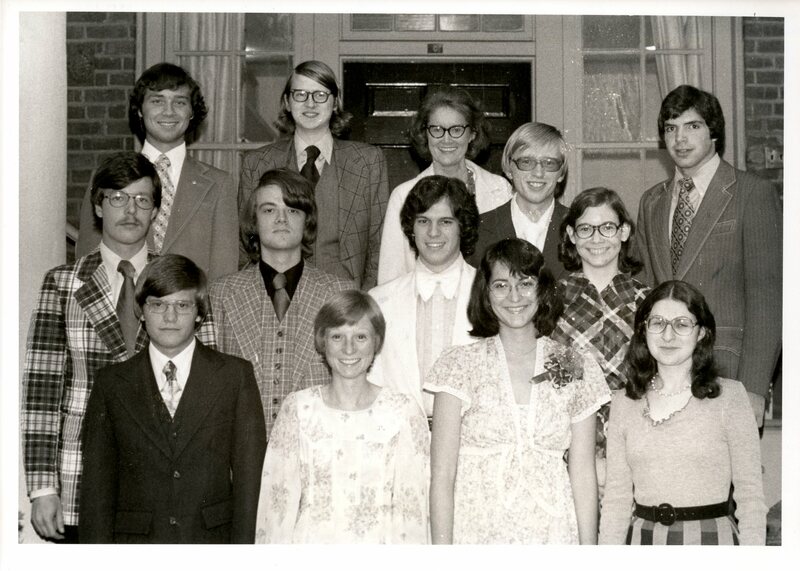 In that vein, the blog this week highlights one of the most seminal figures in the history of the Davidson College Music Department: James Christian Pfohl. James Christian’s Pfohl’s faculty portrait, circa 1945. 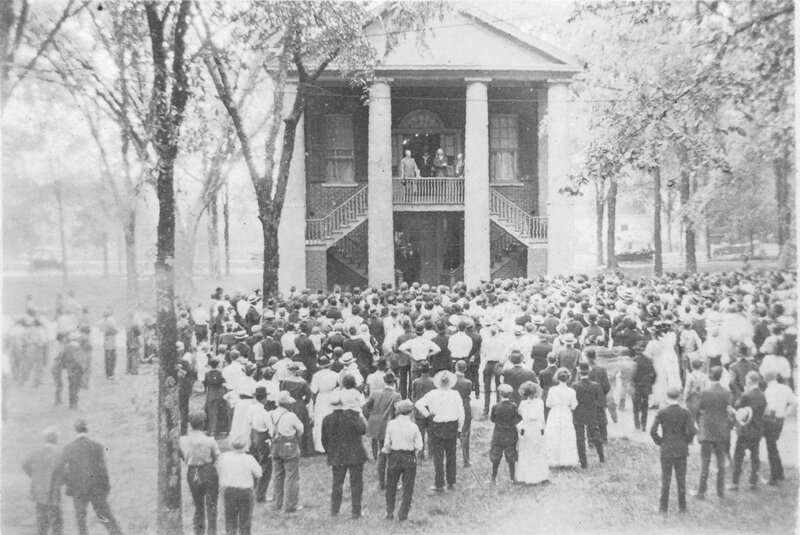 Student musical groups and organizations date back to the mid-1800s, with students forming the choir for religious services and more casual gatherings, including playing in the cupola of the Old Chambers Building. 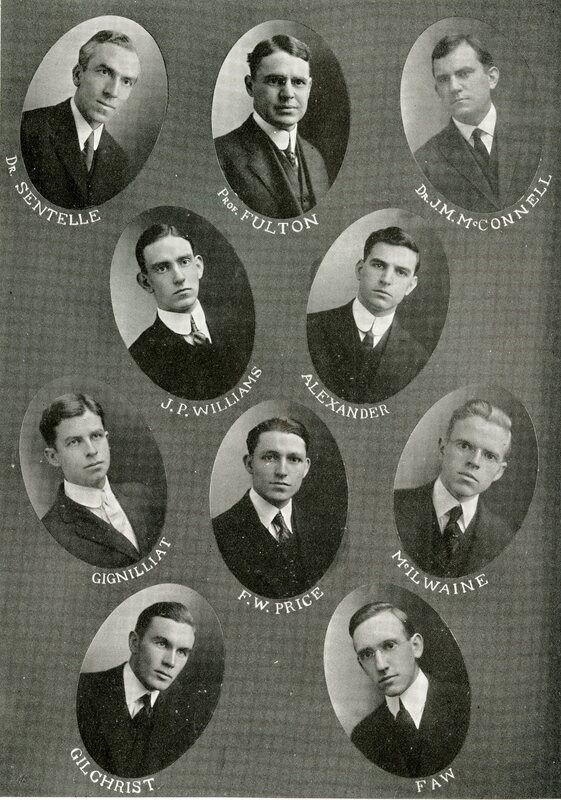 The first glee club was formally established on campus in 1890, a college orchestra appears in our archival records in 1892, and the glee club, chapel choir and a whistling club were all mentioned in the first issue of Quips & Cranks in 1895. Students (such as Alonzo Pool in 1892-93 [Class of 1893] and Daniel McGeachy in 1895-96 [Class of 1896]) or outside music instructors (Gertrude Williamson and Eulalia Cornelius, both in 1896-97, for example) were sometimes paid by the college to instruct non-credit-bearing courses. The cure for that atrophying of student musical talent would be to hire a musical director, who “would have charge of the musical organizations of the college, stimulate interest in things musical, and would train the students in the rudiments of music, both of singing and appreciation.” Perhaps in response, in 1927 the college hired Ernest J. Cullum as Director of Music and Associate Professor of the History and Appreciation of Fine Arts. The history of music and arts appreciation courses Cullum taught, the first offered for credit at Davidson, were listed through the history department. Cullum stayed on until 1931, when funding for the position was cut. During this time teachers from Charlotte and Mooresville were engaged to offer private lessons in piano, organ, wind, and string instruments, and students funded the hiring of Carol Baker from Charlotte to direct the Glee Club for several years in the mid-1920s. “What Can You Do About It?” ran in The Davidsonian early in Phofl’s tenure at Davidson – November 15, 1933. 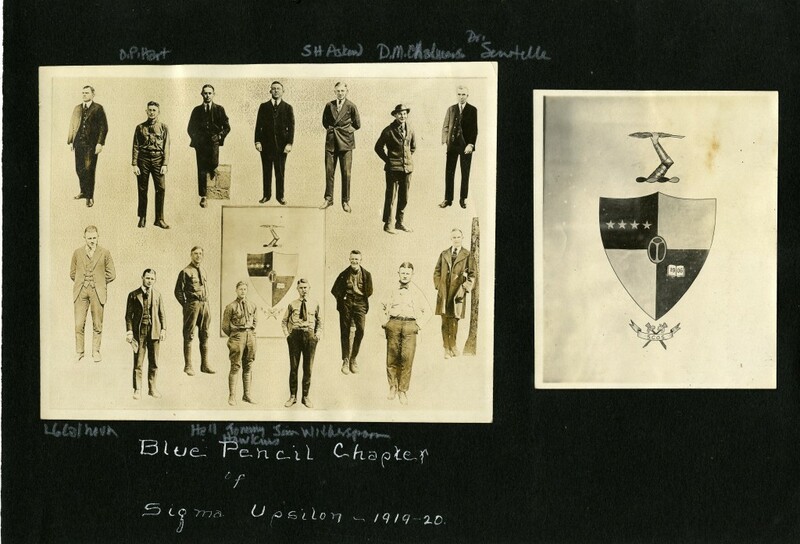 In addition to his work building new organizations and initiatives, Pfohl also maintained the work of the Glee Club, football band, and ROTC band. 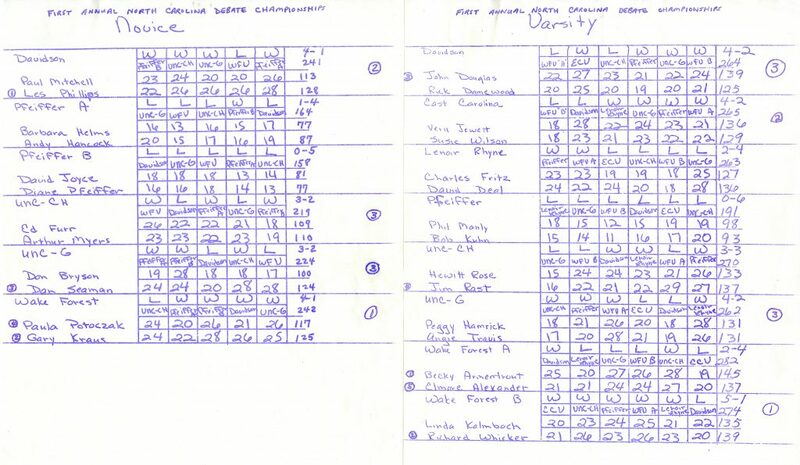 He also organized broadcasts of the Symphonic Band over Charlotte radio station WBT. As evidence on this growth and interest, additional music faculty were hired – by 1935, Warren Babock, Moreland Cunningham (Class of 1935), Franklin Riker, and Louise Nelson Pfohl were also working in the department. 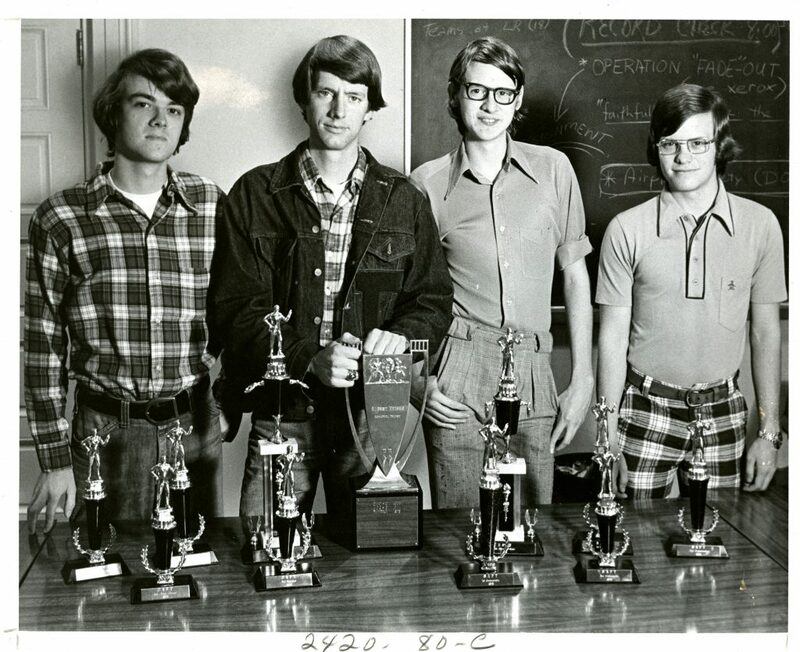 Another one of Pfohl’s major initiatives began in the summer of 1936, when he established a summer music camp for boys at Davidson, inspired by his experience as a scholarship student at the Interlochen Arts Camp as a youth. The music camp Phofl began still continues today – it was held at Davidson until 1943, when it spend one season headquartered at Queens College in Charlotte. In 1944, Pfohl moved the camp to Brevard, NC., and in in 1955, the camp and its programs were renamed the Brevard Music Center. 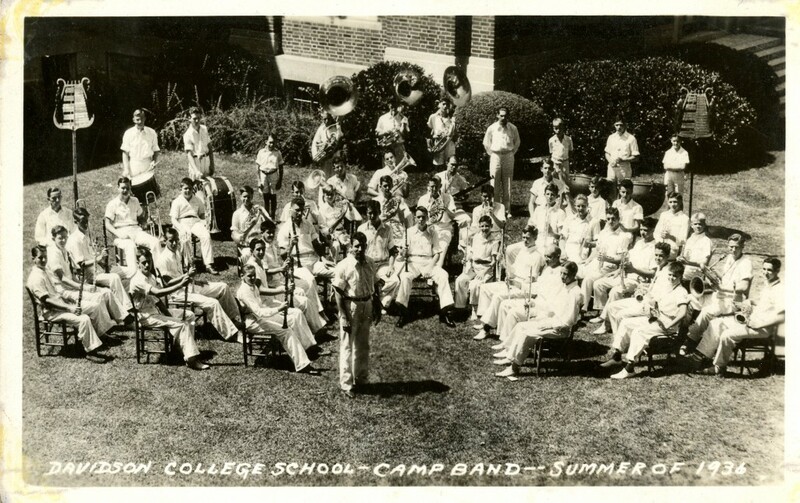 A postcard showing Pfohl leading the summer camp band in 1936. By 1938, Pfohl had made another lasting contribution to Davidson: he provided lyrical arrangement for “All Hail! O Davidson!,” the college’s alma mater. 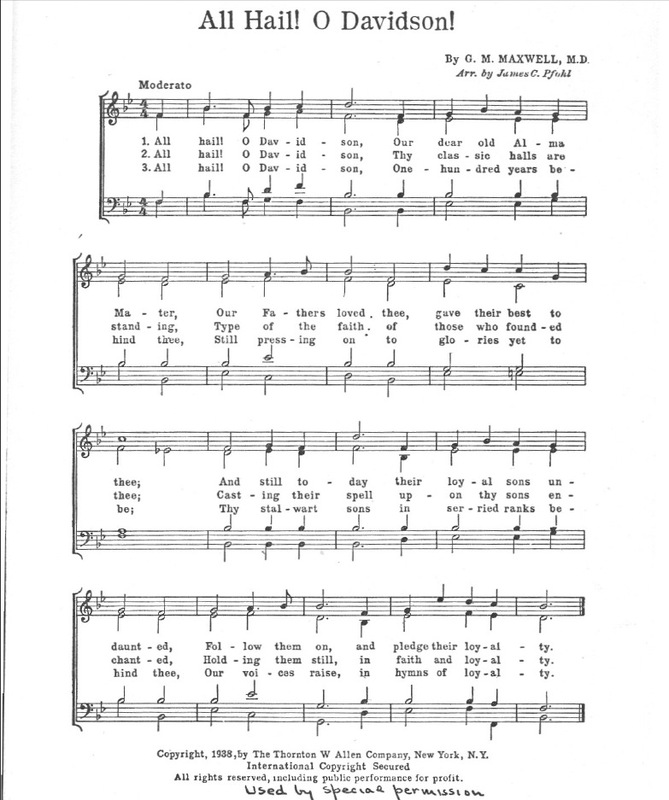 The words were written by George M. Maxwell (Class of 1896) on the occasion of the college’s centennial in 1937; originally intended as a fight song, Phofl envisioned the song as more of a hymn. By 1952, “All Hail! 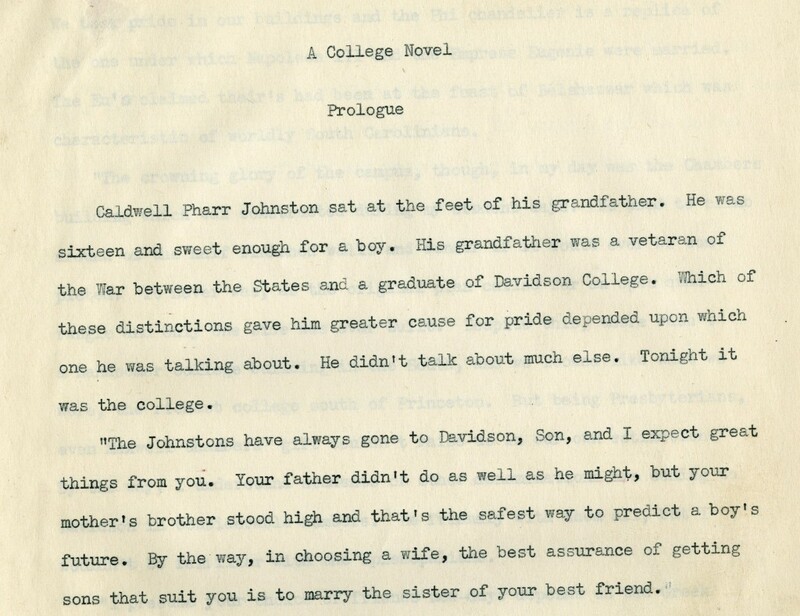 O Davidson!” began being printed in commencement programs. The lyrics have been changed a few times since 1938, most recently by committee in 1996, to reflect coeducation. Sheet music for “All Hail! O Davidson!” (image from a 2010 entry on the song in Davidson Daybook). 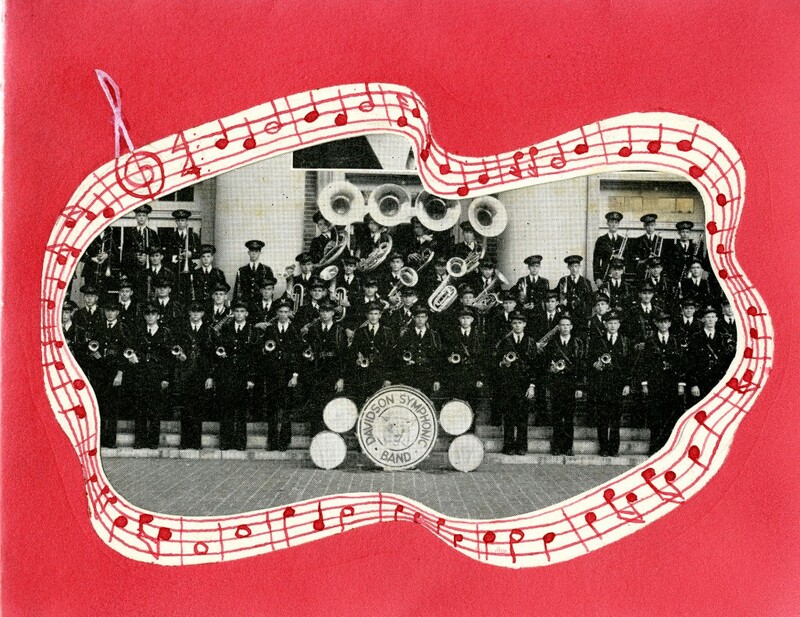 A Davidson Symphonic Band Christmas card, circa 1940s. 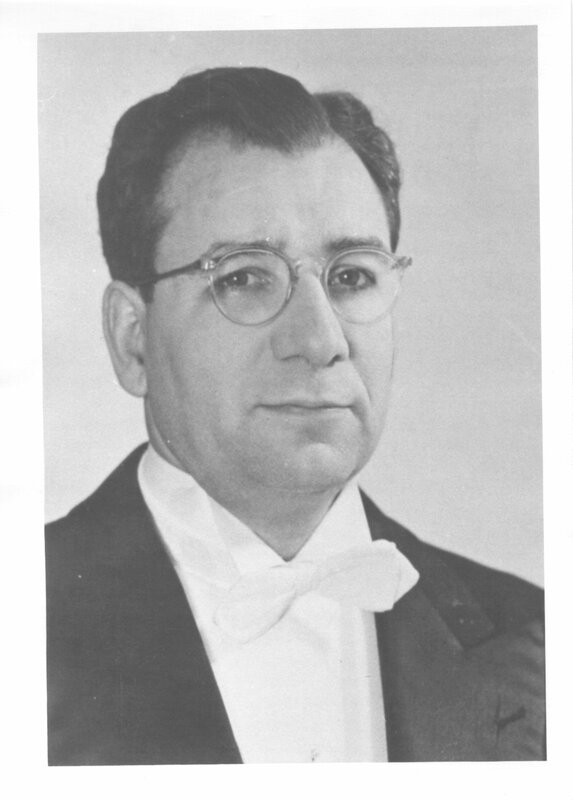 In 1949, Pfohl began working as the conductor and music director for the Charlotte Symphony Orchestra. Three years later, he resigned his position at Davidson in 1952 in order to conduct the Jacksonville Symphony Orchestra (while simultaneously remaining in his position with the Charlotte Symphony Orchestra until 1957, and continuing to lead summer camps at the Brevard Music Center until 1967). In 1959, he began music directing for an educational TV program in the Jacksonville area, The Magic of Music. In 1961, Pfohl left his post with the Jacksonville Symphony Orchestra, and went on to direct the York (PA) Symphony Orchestra and Reston Little (VA) Symphony. His accomplishments included conducting four performances at the White House, establishing the Mint Museum Chamber Orchestra (1944 – 1961) and serving as inspiration and sounding board for the founders of the University of North Carolina School of the Arts. He retired to Jacksonville in 1983, where he remained until his death in 1997. Pfohl was survived by his second wife, Carolyn Day Pfohl (his first wife, fellow Davidson and Queens College faculty member Louise Nelson Pfohl passed away in 1968), and three children: James Christian Pfohl, Jr., David Pfohl, and Alice Pfohl Knowles. 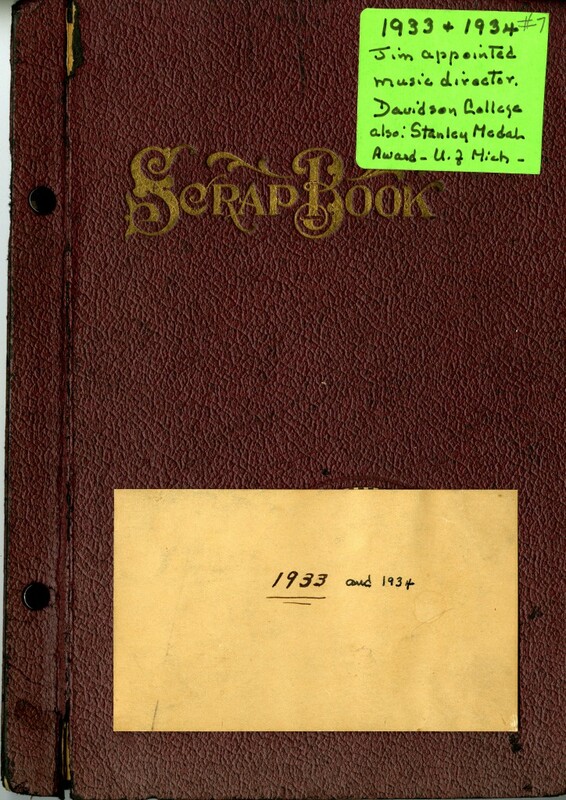 The cover of J.C. Pfohl’s 1933-1934 scrapbook, covering the first year he began working at Davidson. The music department has flourished since James Christian Pfohl’s time at Davidson – currently, students can major or minor in the subject, with a vastly expanded curriculum led by faculty and artist associates. 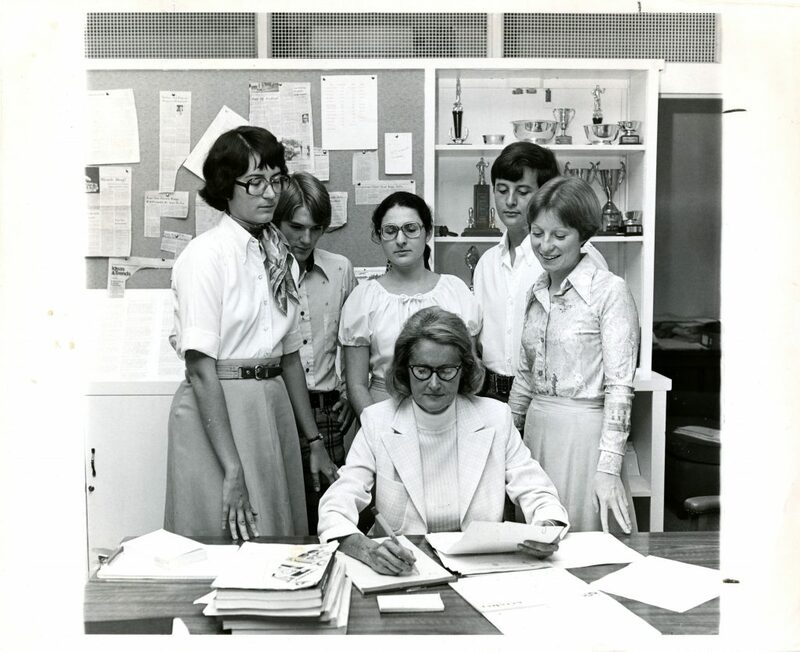 Pfohl’s legacy of establishing student organizations and gaining credit for applied music left a strong base for future generations of faculty and students to build upon, and his family recently donated several scrapbooks assembled by Pfohl during his time at Davidson and beyond. 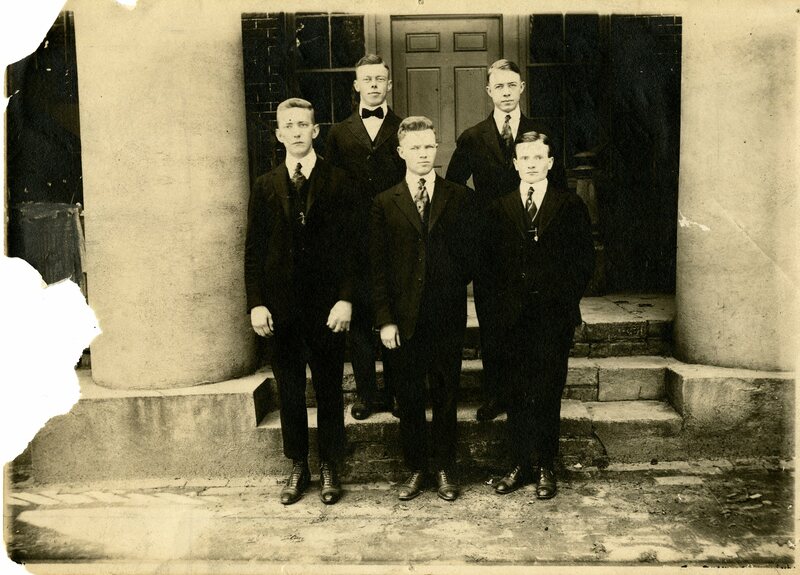 Come into the archives to see more about music history at Davidson in the 1930s through 1950s! 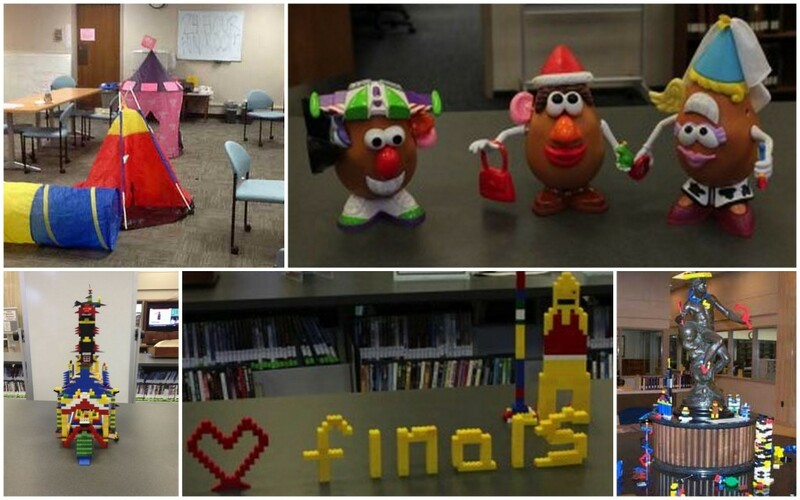 Hopefully most of our modern students are not as dread-filled as young Fries, but if they are, numerous departments and organizations have put together several events to help students de-stress as they prepare for their exams. Tomorrow is Reading Day, which will include a Puppy Extravaganza in the Smith 900 Room during the common hour, a Theatre and Dance party in the Scene Shop in the Cunningham Theatre Center (RM 120) with free food from 12 PM to 1 PM, the Curry Club’s Finals Feast in the Multicultural House’s Upstairs Lounge from 5 PM to 6 PM, a Reading Day Study Break at the Black Student Coalition House from 8:30 PM to 9:30 PM, the Student Government Association’s Finals Fest in the Baxter Davidson Room (Chambers) from 9 PM to 10:30 PM, and the traditional DCPC Cookie Break from 10 PM to 11 PM. The following day (Friday the 13th) there will be an Ice Cream Study Break in the Smith 900 Room beginning at 10 PM (yours truly is a backup scooper this year, so say hello if you see me there!). Additionally, Davis Cafe (in the Union) is discounting coffee to 0.99¢ until December 20th, in order to keep the Davidson community well-caffeinated throughout this trying time. Here in the library, the staff supplies some quick, mindless study breaks starting on Reading Day, in the form of puzzles, Legos, Mr. & Mrs. Potato Heads, and games of Twister, Battleship, and Connect Four. If you’re feeling stressed, stop by the library or one of the events mentioned above to give your brain a bit of a rest. 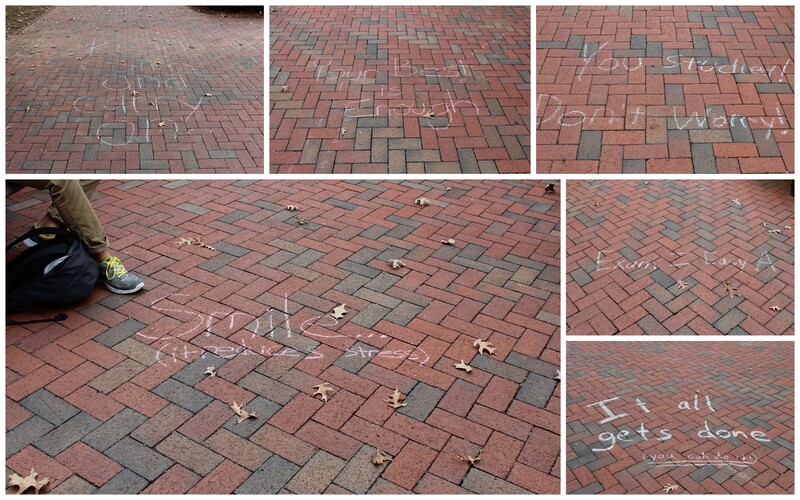 As the chalked encouragements remind us all, you studied – don’t worry!